It is time. For. A massive mask haul! Because I am asian like that, mask sheet are the thing here okay. Haha. All of these masks I got from an online store call Maystar. They sell tons of Korean beauty products from skincare, beauty tools, makeup and many more! Yes 3CE is also available! Yays! So! Here are my haul video you can watch on how I use them with before and after clips. 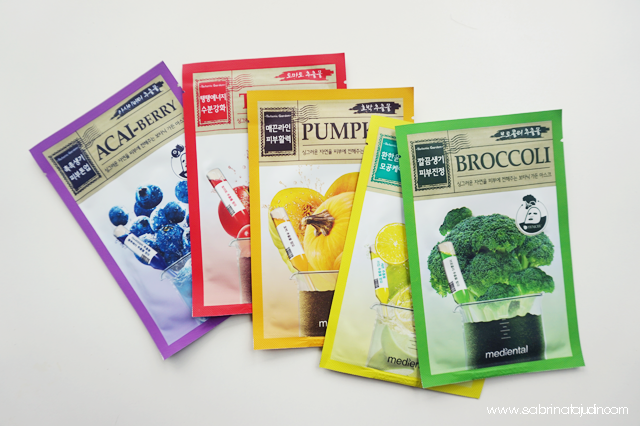 These masks are from Mediental Botanic Garden line which features organic and natural ingredients in it such as Broccoli, Lemon, Pumpkin, Pomegranate and Acai Berry. i have tried the Broccoli and I love how it gives me a very soothing sensation. Hydrating indeed and no weird veggies scent. No worries! I look forward to try the lemon next. I love brightening mask! These masks are only RM4.50 each! The next one is from Mediheal in their ADE Mask range. 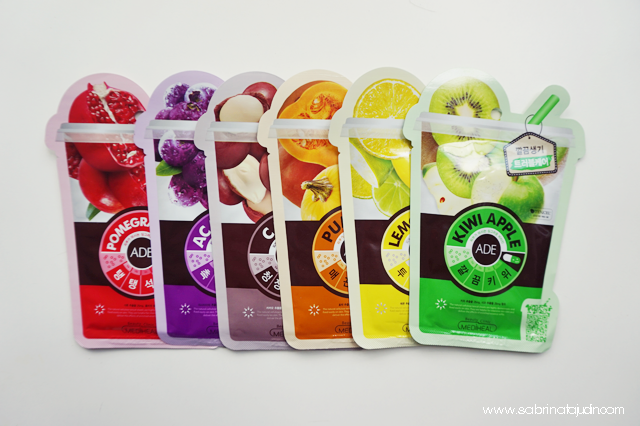 Features options such as Pomegranate, Acai Berry, Cocoa, Lemon & Kiwi Apple. I love how the sheet mask is soft and thick that means it stay on my face nicely while waiting within that waiting time. I tried the lemon mask and I love the fresh scent it gives. Very relaxing! 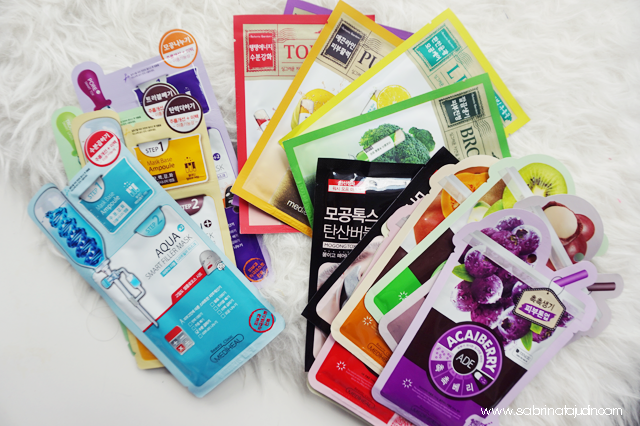 These mask retails for only RM4.90! Second range from Mediheal. A 2 steps unique mask like no other mask out there. Consist of Collagen mask that helps improve skin elasticity, Trouble is for trouble acne prone skin, Aqua is for hydration and Pore Don to help reduce large pores. It comes in 2 steps as I mention. You have to use the 1st Step as the "base" and then u apply the 2nd step which is the mask. 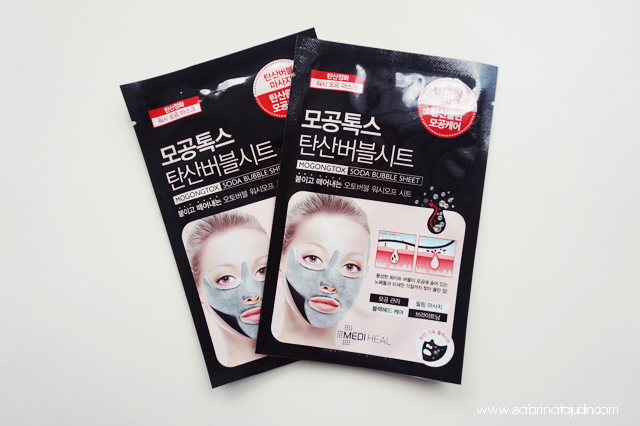 These mask retails for RM12.90! 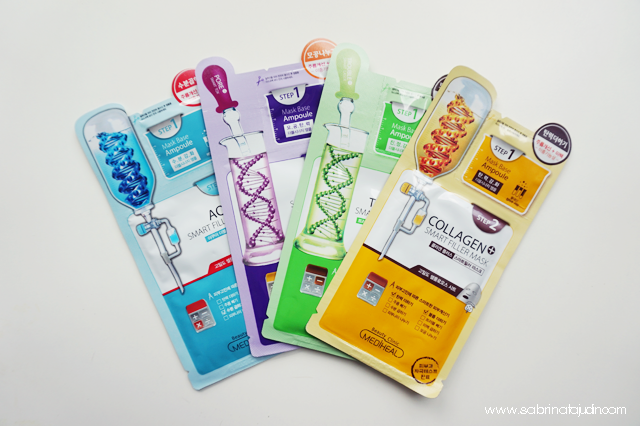 The last one I got is these Mediheal Mogongtox Soda Bubble Sheet Mask. Retails for RM11.90 each. It bubbles up after a few minutes and it leaves a tingling sensation. Penetrates deep into my pores. My skin feels fresh and a bit tight after using this. You need to wash it off instead of massaging it in since it foams up. Well that's all for my mask haul for today! Don't forget to watch my video as I show you a demonstration on how I use these mask. More info go to Maystar and go crazy for their mask! Do you love wearing mask in your skincare routine? Korean face masks are the best cause they're super cheap in Korea! I want to try the collagen ones and that broccoli one sounds interesting too! I never been to Korea but this is what I also heard! Usually they will buy in bulk. haha! Haha me too! I usually use it during friday night. Lot of them to go crazy with!!.. hehe.. thank you sab for the review..